Gift certificates are available and make excellent birthday and Christmas gifts for the outdoorsman. All Fishing Charters are customized specifically to the anglers preferences and we are dedicated to making your trip fun and enjoyable! 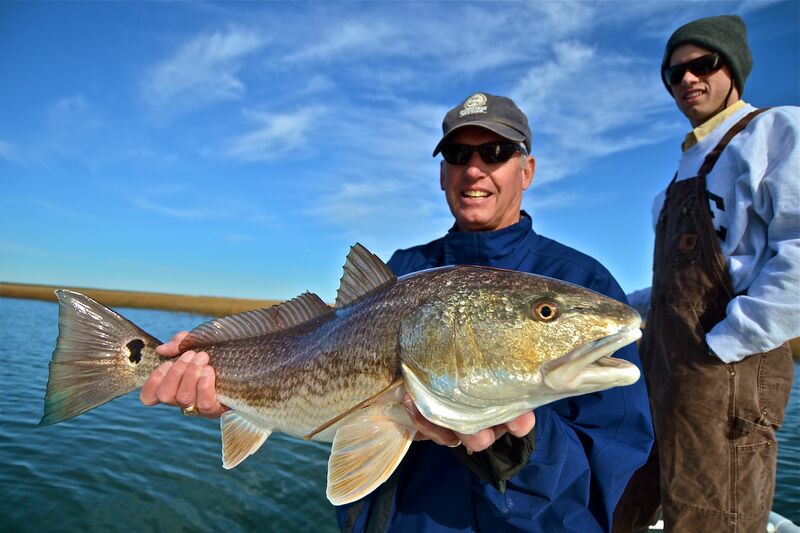 The saltwater fishery surrounding Georgetown, Myrtle Beach, Pawleys Island, Kiawah Island and Edisto provide many options for fishing charters. Target species will vary by season but redfish, speckled trout, and sheepshead are abundant year around while tarpon, flounder, sharks, and cobia are present in the warmer months. Large Groups: We work with a number of experienced fishing guides in the area and can arrange multiple boats for fishing charters. Booking: Advanced booking is encouraged to ensure you get the best fishing times. To book your fishing charters, please contact us. Pick Up Location: We use multiple boat ramps and location depends on weather and tides. The captain will coordinate with you prior to your fishing trip to set an appropriate meeting place and time. Deposit: We do require a $100 deposit upon booking a fishing trip which you can make with a CC via PayPal or check. Cancellation: A 3 day cancellation notice is required for a full refund on your fishing trip. The captain reserves the right to cancel a fishing charter for weather, safety, or maintenance reasons that present a danger to passengers or equipment, in which case the deposit will be fully refunded. Payment: We accept all major credit cards via pay-pal, cash or check. Full payment is not required until after the fishing trip. Rates include fishing licenses, equipment, and everything you’ll need for a productive day of fishing. We use only quality fishing rods and reels from St. Croix and Penn Fishing. We can also arrange for multiple boats for larger parties. 16ft Action Craft Flats Boat is best suited for 1-2 anglers, drafts 6 inches of water which makes it ideal for fishing shallow water and sightfishing. 21ft Sportsman This top of the line bay boat can fish 4 anglers comfortably. With an 8 inch draft, this bay boat is versatile enough to fish shallow but handles rough conditions as well. What are the best fishing seasons? The best part about this area is there is always something to catch. Redfish and sea trout are the primary targets year around, while other species of fish like tarpon and flounder are more seasonal. Everything needed for a day of fishing is provided on your charter including: top quality fishing rods, tackle, bait, fishing license for all passengers, and a cooler with ice. The majority of fishing we do is in calm, shallow water just a short boat ride from the landing. When targeting tarpon we occasionally fish along the beaches, inlets, and jetties but always within sight of land. The bay boat can accommodate 4 adults, and the flats boat can accommodate 2 adults and 1 child. Multiple boats can be arranged for larger groups. Passenger safety is the top priority and the captain reserves the right to cancel trip due to weather, in which case a full deposit refund will be issued. A hat, sunscreen, polarized sunglasses, non-skid shoes, (Flip Flops are not recommended) as well as adequate clothing for the time of year. The captain will provide a cooler with ice so please bring food and drinks. We are very accommodating to younger kids and will do everything possible to make sure they have a good time on the water. There is nothing better than seeing the smile on a kids face after doing battle with a large fish. 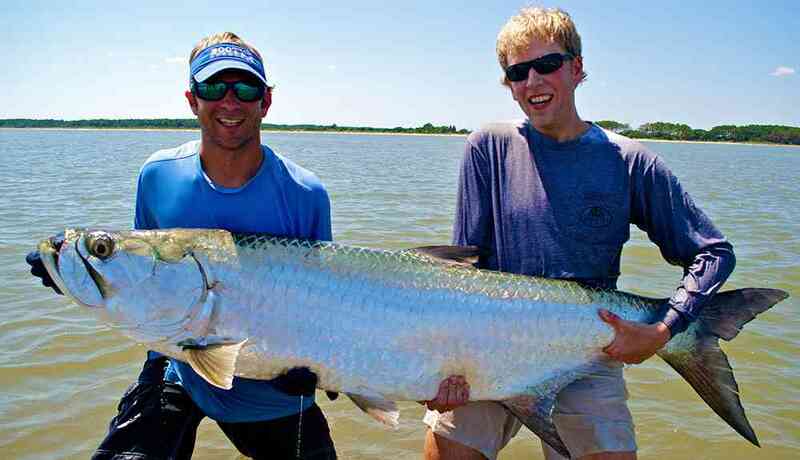 The tarpon fishing in South Carolina is often overlooked as a world class tarpon fishing destination. Tarpon arrive in South Carolina in late May however the best tarpon fishing occurs August – October during the fall mullet run. 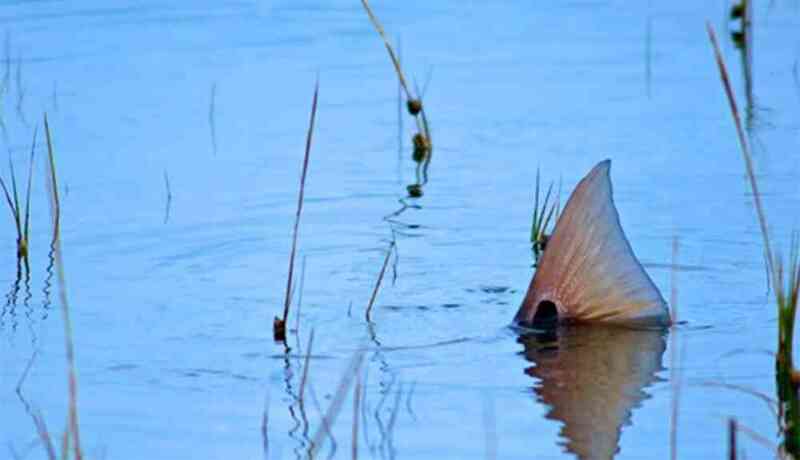 Flood tides in the Summer and Fall send swarms of hungry redfish feeding on the shallow grass flats which often leaves their tails exposed above the water. Stalking a Tailing Redfish is the ultimate sight-fishing experience. The shallow creeks and bays south between Myrtle Beach and Charleston offer excellent fly fishing opportunities year around. 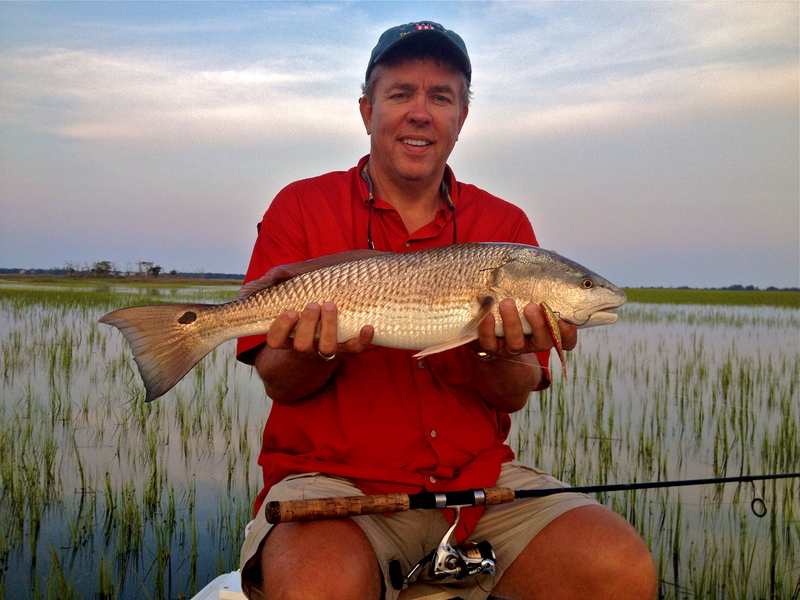 Redfish are the primary target for fly fisherman, along with flounder, trout, and tarpon.